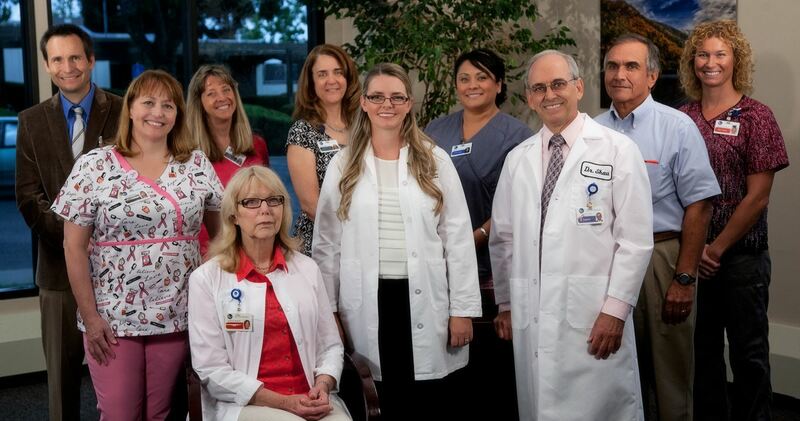 At The Center for Breast Health at Oroville Hospital, you will have a dedicated team of surgeons, radiologists and oncologists who will collaborate and create a specialized treatment plan just for you. 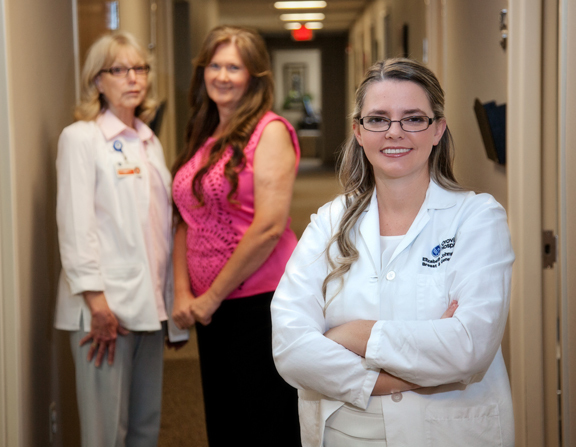 Each member of your care team has years of experience in breast health, and specializes in ensuring your comfort at every stage of diagnosis through treatment. Program Medical Director: Our comprehensive breast health program is led by Dr. Elizabeth Johnston who believes in providing every patient with an exceptional experience. Dr. Johnston oversees every case, and will be updated on your progress regularly. Surgical Oncologist: Specializing in breast cancer surgery and reconstruction. Radiologist: A physician with specific expertise in combining radiology with other forms of breast cancer treatment. Dietitian: Our registered dietitian specializes in creating meal plans that boost your energy and immune system during treatment and beyond. Nurse Navigator: Will guide you through the process with clinical expertise and emotional support. Central to the core of our cancer program is our patients’ partnership with a nurse navigator. When diagnosed with cancer, there seem to be endless questions and concerns- many that simply cannot wait until your next appointment. As a patient at The Center for Breast Health at Oroville Hospital, you will be assigned to a nurse navigator whose only job is to ensure you have the adequate support you need, when you need it. Educate- Your nurse navigator can explain the advantages and disadvantages of treatment options, provide resources and explain what to expect each step of the way. Nurse navigators also go out into the community to share prevention and early detection methods. Support- Answering any questions you or your family may have, our nurse navigator also provides information about support groups, social workers, financial support and helpful community resources. Advocate- Always ensuring communication between your medical team and physicians throughout the treatment process, these professionals keep you informed of any updates or options. Your nurse navigator may also help coordinate appointments and follow-up testing.